Today's So Shoe Me is the When by To Be Announced, $195, available at Solestruck. 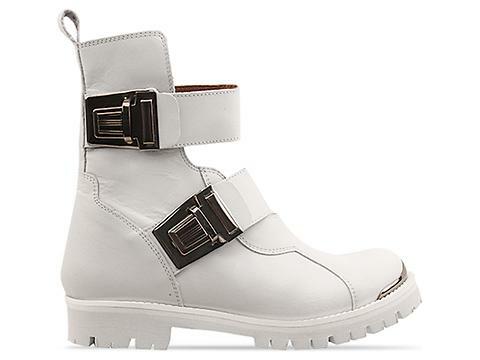 Buckle up for a futuristic moment with these icy white and silver boots by To Be Announced. 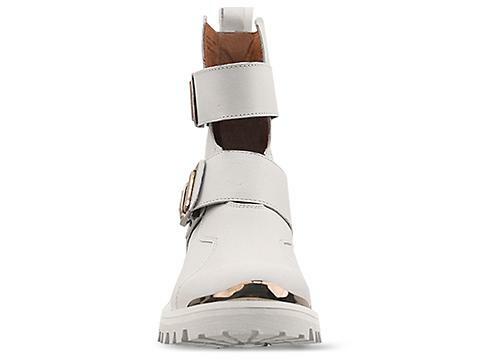 A boot/sneaker hybrid with a metal capped toe makes for the perfect transitional shoe from winter into spring. The white leather upper, tonal rubber sole and metal buckle straps create a space age feel for the ultimate fashion forward detail. Pair these buckled boots with a pair of holographic leggings and an oversized shirt for an easy updated look for the new year. 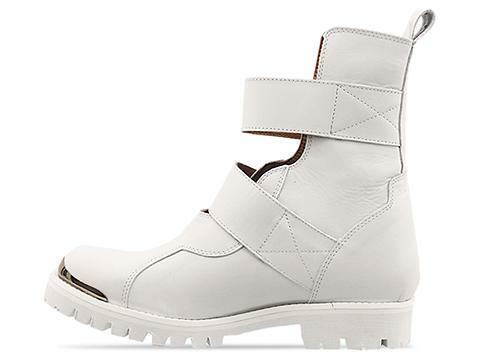 So Shoe Me a pair of white hot boots that will add a futuristic to some new shiny separates through winter and spring.